Sorry for being mostly absent during August. This was partly due to the fact that I was very restless in my MMO gaming time which meant that I messed around in a lot of games and didn’t get anything interesting or blogworthy accomplished, and partly due to the fact that I’ve been having that writer’s block/self confidence problem that I know writers much better than I struggle with as well. Anyways, I thought I’d catch you up on what I’ve been doing this month with a few screenshots. I rolled a new warden. I’m not proud of it, but I did it. It’s mainly because I’m an altaholic, but also because I read about this cool ice-based magicka tank, and I wanted to try that out without respecing my stamina healing warden. 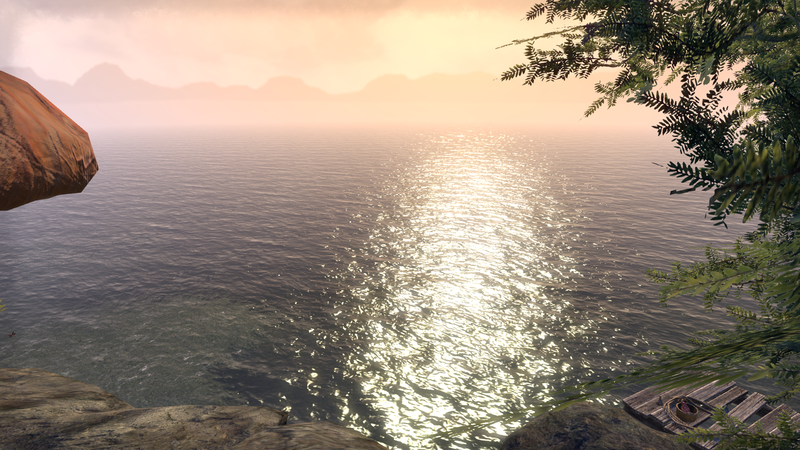 Yes, I realize that I’m playing both of those roles with the stat opposite of what you would expect, but maybe that’s why the warden has clicked with me so much more than other classes in ESO. 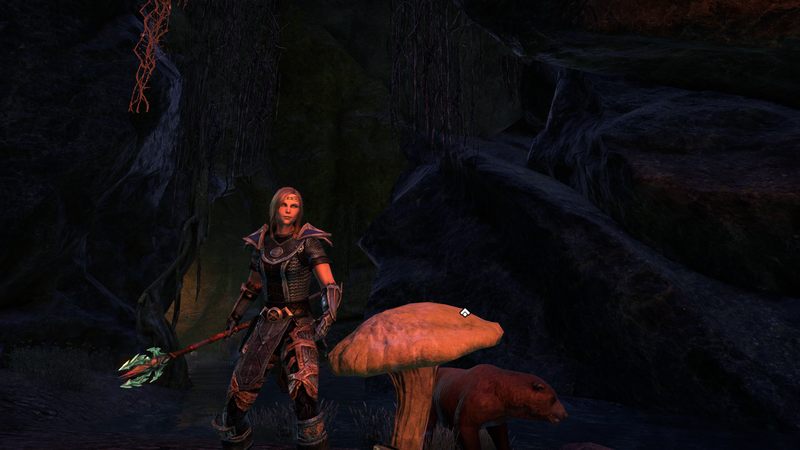 While my first warden started out doing the Morrowind story, this one went through the main vanilla story. Because levels don’t really matter anymore, you can pretty much do it all as soon as you get to your faction’s first city where The Prophet is. I got all the way to the penultimate chapter by the time I was level 15 (apparently, even though it ignores level for the entire rest of the story, you can’t do the final chapter until you’re actually level capped), and I spent a few days doing that and a few other quests that interested me around Stonefalls, but, when it quickly became clear that my new tank warden was my new main, I decided it was time to start on Morrowind again. Some day I’ll go back and see all that the vanilla game has to offer, but right now I feel like I should experience the shiny new expansion zones while they’re still somewhat populated. 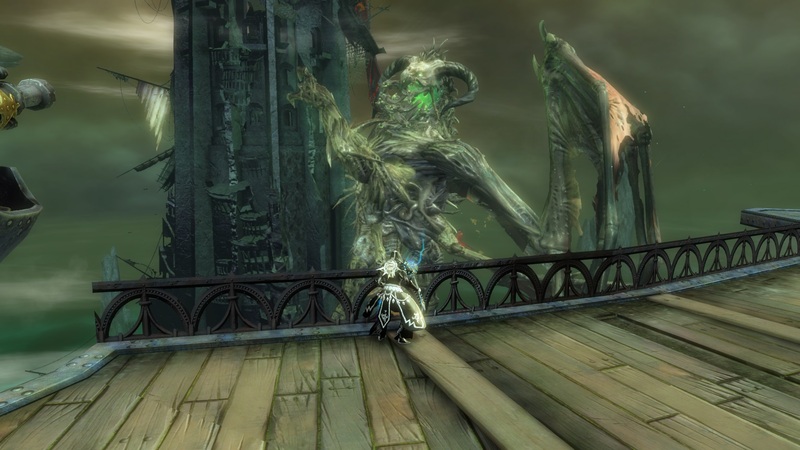 Probably the most interesting thing about my August in Guild Wars 2 was also a new character. I, of course, preordered Guild Wars 2: Path of Fire. This time around, the more deluxier packages are actually really nice. 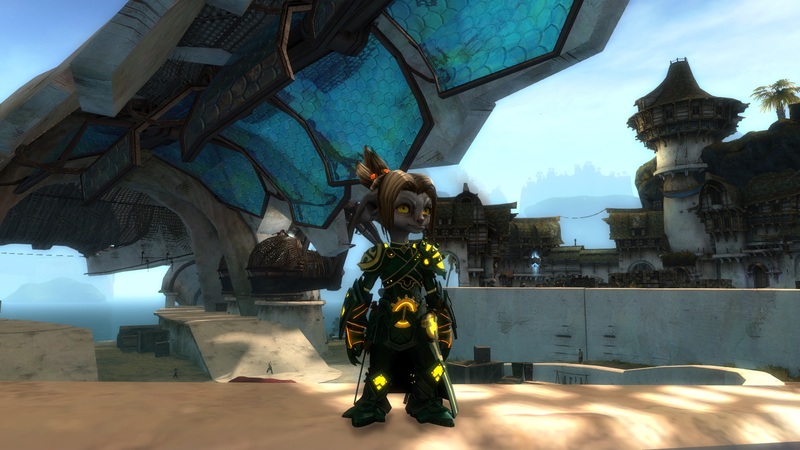 I bought the cheapest Heart of Thorns package because nothing in the nicer packages were really that exciting (a mini, a PvP finisher, a guild hall decoration, and a lame glider skin… meh), but this time around, ArenaNet actually talked me into buying the deluxe package (Sunspear outfit, a character slot, a makeover kit, and one of those passes to one of those premium crafting area things they’ve been doing recently), and, of course, if you’re buying the deluxe package, you might as well drop the extra $25 to get $50 worth of gems in the ultimate package. I was planning on making a new mesmer anyway, because I really like the Heart of Thorns elite spec as well as what I’ve seen of the Path of Fire one. Couldn’t I have just switched back and forth for free? Absolutely, but I never turn down an excuse to make a new character, and if I didn’t make a new character, that level 80 boost would go to waste, so my new mesmer was born. His name is Random Axes Memory, which celebrates both my love of computers and my love of puns. The new Path of Fire elite spec, of course, gives mesmers access to axes, so I’m really banking on the fact that I’m going to like it, or this play on words would make no sense. While Guild Wars 2 is in that pre-expansion holding pattern, I’m trying to turn some of that anticipation and impatience for expansion day (less than three weeks!) into motivation to finish finish up some things. First, I finally, for the first time, actually finished the Trahearne personal story chapters in Orr. That’s right, with all of my hundreds of hours in Guild Wars 2, I had never personally done the part of the story where you defeat your first elder dragon. And sure enough, it’s just as anticlimactic as everyone said it is. 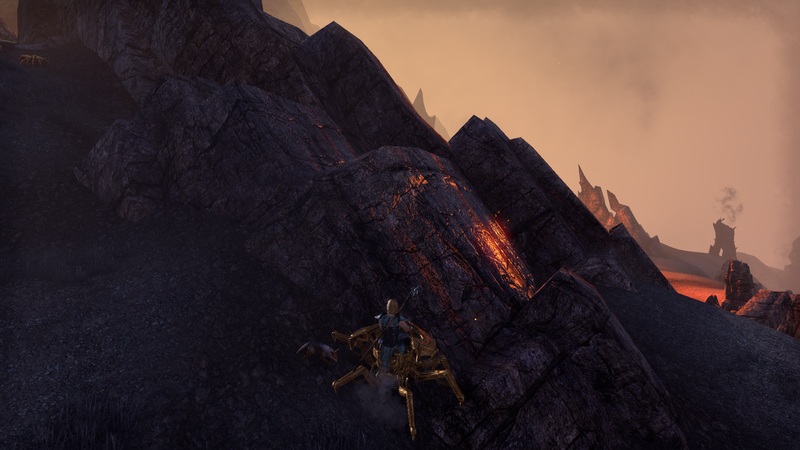 You don’t so much slay the dragon yourself as ride along while the airship does all the work. I’ve also put a lot of time in the Heart of Thorns zones getting hero points so I can hit the ground running in Path of Fire’s new elite specs. I’m getting really sick of these jungle zones, and I’m so ready for a big, new, wide-open desert to explore. I also put some time into the various betas that they’ve been doing recently, and I’m really excited to play the new story and elite specs. Mounts are going to be fun too! I’m probably looking forward to this expansion more than any other expansion I’ve played to date, and I’m sure I’ll have a lot to say come September 22nd. Anyone who has known me for a long time knows that I’m a huge Sonic the Hedgehog fan. Modern Sonic games, however, have been hit-or-miss (mostly miss) and have generally failed to recapture the magic of the originals. I had a big post written up on how big game companies so often fail to realize what made their older games great, and how fans so often recognize it much more readily than the people who get paid the big bucks to design games, but it was really too big of an issue to tackle in a blog post, so I scrapped it (see opening paragraph). 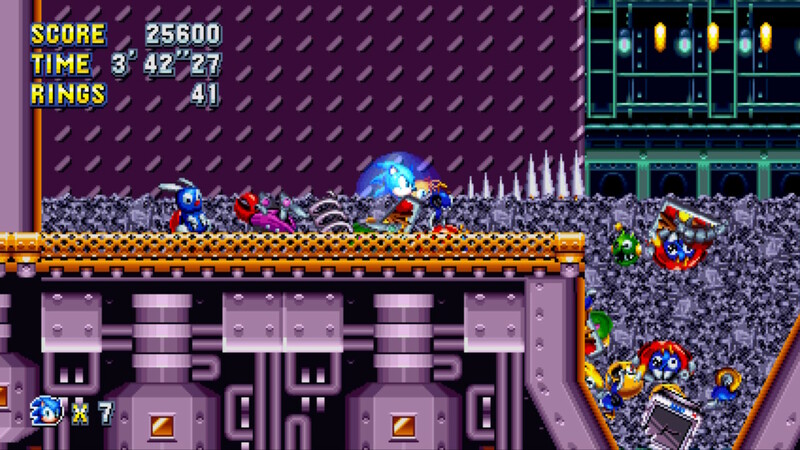 Anyways, along came a team of fans–headed by Christian “Taxman” Whitehead, whose claim to fame is that he wrote a a perfect, ground-up remake of the first level of Sonic CD in 60fps and widescreen for iOS, then got a cease and desist order from Sega, who then subsequently hired him to finish it. 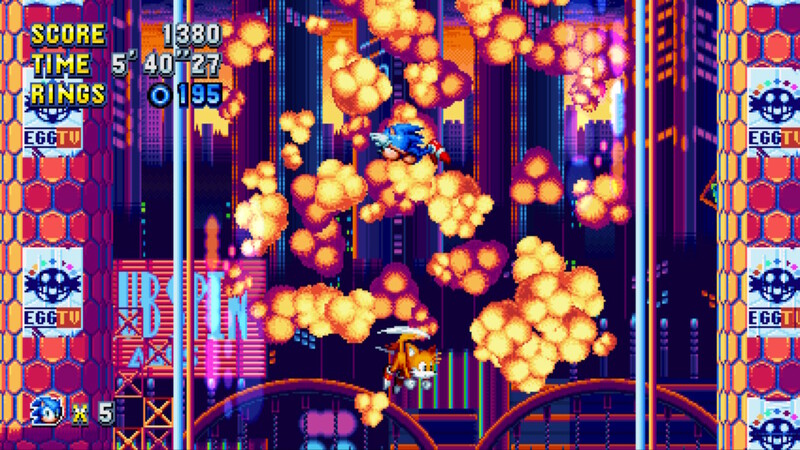 After doing a couple more iOS/Android remakes, they were then given the green light to make a (mostly) original Sonic game in the style of the classic Genesis games, called Sonic Mania. And the results are absolutely incredible. I haven’t been this excited for a Sonic game since I was a kid. I actually canceled my PC preorder because it got delayed and bought it on Nintendo Switch instead (honestly, though, the portability of the Switch is nice, and I can probably pick up the Steam version on sale a few years from now). The graphics are beautiful, the physics are perfect, and I couldn’t ask for a better soundtrack. I could probably gush about its perfection for a whole post, but no one is interested in reading it. Except for the Oil Ocean octopus boss, which is absolutely awful. I also puttered around LotRO–my rune-keeper is still in Moria, and I’ve been tempted to bring my low level lore-master out of retirement, but I’m trying to resist that temptation–as well as Guild Wars 1–working on a Paragon to catch up on area lore for Path of Fire. I also gave Destiny 2 a try, and can’t say that I overly thrilled by it, but the beta was pretty limited. I might buy it on sale eventually, but it’s certainly not my next big thing. It did, however, remind me that I bought Mass Effect Andromeda at launch and barely played it due to some technical issues that are now fixed, so I’m back to playing that as well. Anyways, here’s hoping that September brings lots of interesting new gaming experiences, and hopefully more frequent blog posts.